The music of Morten Johannes Lauridsen, composer-in-residence of the Los Angeles Master Chorale from 1995–2001 and professor of composition at the USC Thornton School of Music for more than fifty years, occupies a permanent place in the standard vocal repertoire of the 21st century. His eight vocal cycles and two collections—Les Chansons des Roses (Rilke), Mid-Winter Songs (Graves), A Winter Come (Moss), Madrigali: Six “FireSongs” on Italian Renaissance Poems, Nocturnes (Rilke, Neruda and Agee), A Backyard Universe (Witt), Cuatro Canciones (Lorca), Four Madrigals on Renaissance Texts, Five Songs on American Poems (Moss, Witt, Gioia and Agee) and Lux Aeterna—his series of sacred a cappella motets (O Magnum Mysterium, Ave Maria, O Nata Lux, Ubi Caritas et Amor, and Ave Dulcissima Maria) and numerous instrumental works are featured regularly in concert by distinguished artists and ensembles throughout the world. O Magnum Mysterium, Dirait-on (from Les Chansons des Roses), O Nata Lux (from Lux Aeterna) and Sure On This Shining Night (from Nocturnes) have become the all-time best-selling choral octavos distributed by Theodore Presser, in business since 1783. His works have been recorded on more than 200 CDs, five of which have received Grammy nominations, including O Magnum Mysterium by the Tiffany Consort, A Company of Voices by Conspirare, Sound The Bells by The Bay Brass and two all-Lauridsen discs entitled Lux Aeterna by the Los Angeles Master Chorale led by Paul Salamunovich and Polyphony with the Britten Sinfonia conducted by Stephen Layton. His principal publishers are Peermusic (New York/Hamburg) and Faber Music (London). A recipient of numerous grants, prizes, and commissions, Lauridsen chaired the Composition Department at the USC Thornton School of Music from 1990–2002 and founded the School’s Advanced Studies program in Film Scoring. At USC he has received the Associates Award for Artistic Expression, Phi Kappa Phi Creative Writing Prize and Lifetime Achievement Award, Thornton School of Music Outstanding Alumnus Award, Ramo Award, Association of Trojan Leagues Outstanding Service Award, Lambda Delta Citation for Teaching Excellence, and the Dean’s Awards for Professional Achievement, Teaching and Service. He has held residencies as guest composer/lecturer at over one hundred universities and has received honorary doctorates from Whitman College, Oklahoma State University, Muhlenberg College , Westminster Choir College and King’s College, University of Aberdeen, Scotland. A native of the Pacific Northwest, he worked as a Forest Service firefighter and lookout (on an isolated tower near Mt. St. Helens) before traveling south to study composition with Halsey Stevens, Ingolf Dahl, Robert Linn, and Harold Owen. His life as a composer has been documented in Michael Stillwater’s award-winning film, Shining Night: A Portrait of Composer Morten Lauridsen. Lauridsen now divides his time between Los Angeles and his summer cabin on a remote island off the northern coast of Washington State. 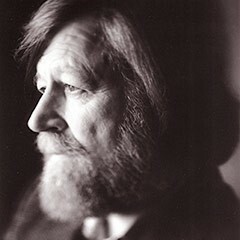 Further information regarding Lauridsen may be found at http://mortenlauridsen.net and http://peermusicclassical.com.